If you’ve been anywhere near the same accounts I personally like to follow on Instagram, you’ve probably come across the famous #SturmGLOW. A what glow? 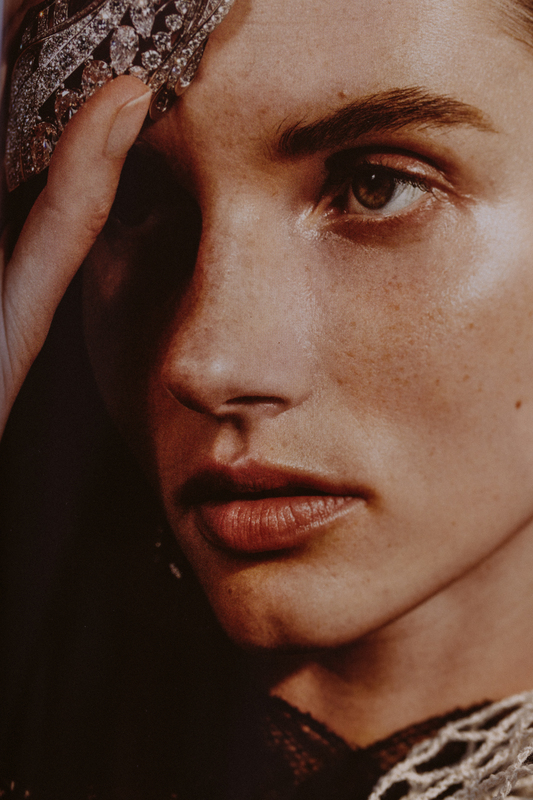 I am a sucker for all things glowing, hydrating or dewy-looking, since my skin has always been the exact opposite: dry. That being said, a lot of girls (read: a perceived 99%) who’s faces I love seeing on Instagram and who’s skin looks like pure perfection – at least as far as I can tell through the screen of my iPhone – seem to swear by Dr. Barbara Sturm. It is a name and beauty brand, that I have seen pop up more than anything else this past year. However, if you have ever googled it, you’ve probably come across the staggering price-tag as well. 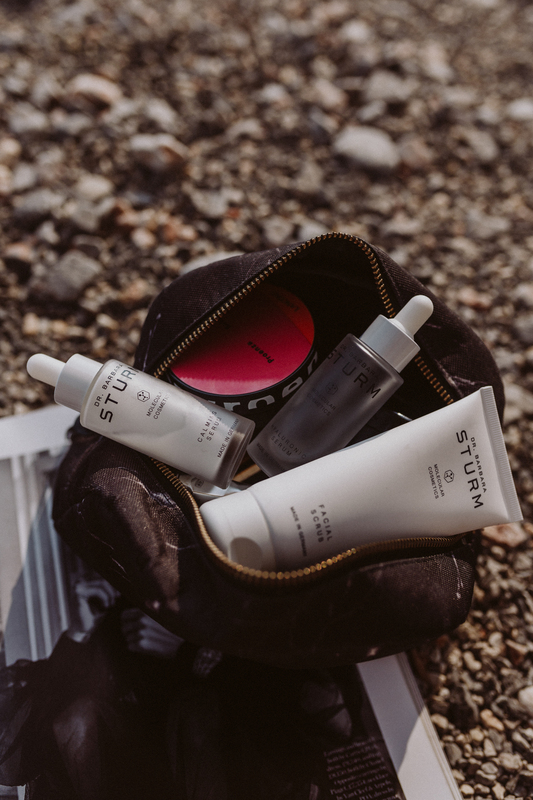 It took a bit of convincing (read: seeing it over and over again on the ‘Gram) before I finally I hit “purchase” on my first ever order of Dr. Barbara Sturm skincare products a little over 5 weeks ago. 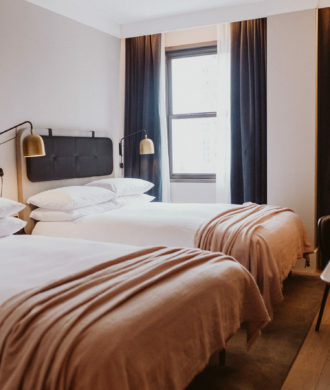 Depending on what your skin needs (or you think it needs), an order of that sort will quickly set you back a couple hundred Dollars, Euro, Pounds or whatever currency you work with. 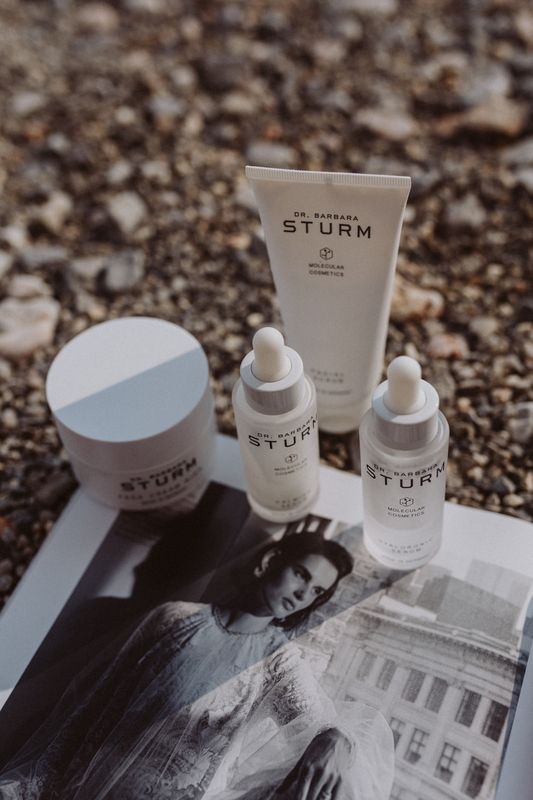 The order arrived promptly within 24 hours (shoutout to Net-A-Porter’s next day delivery) and I started using the products right away in excitement for that #SturmGLOW to appear… On Instagram Stories, I did a little unpacking and promised a full Dr. Barbara Sturm review after 4 weeks of testing. This is it! basic facts about my skin: Eczema, hence always on the dry side. No bad breakouts, no acne. Sensitive and prone to redness (due to the sensitivity/eczema). Stopped using the pill 6 months ago (no babies in planning though) and tend to flare up when I have too much dairy (also very typical for eczema). Overall, I am blessed with pretty good skin, no hormonal acne or severe problems. 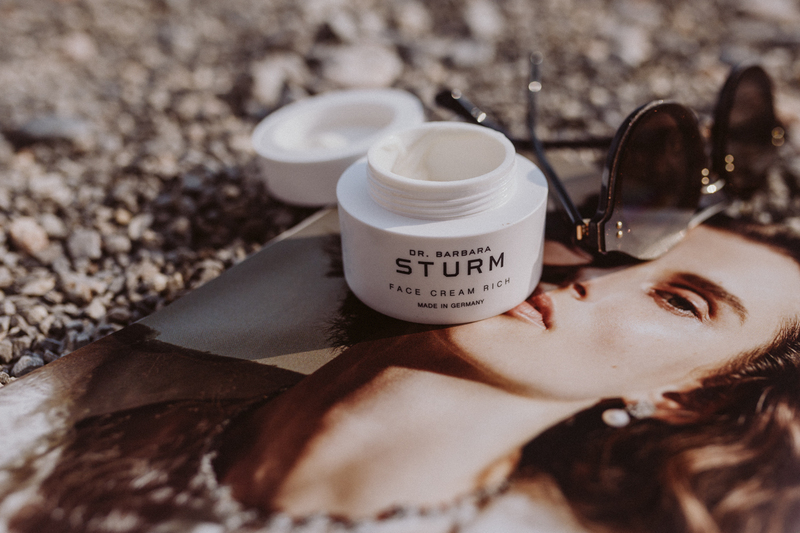 what Dr. Barbara Sturm skincare products did I order? 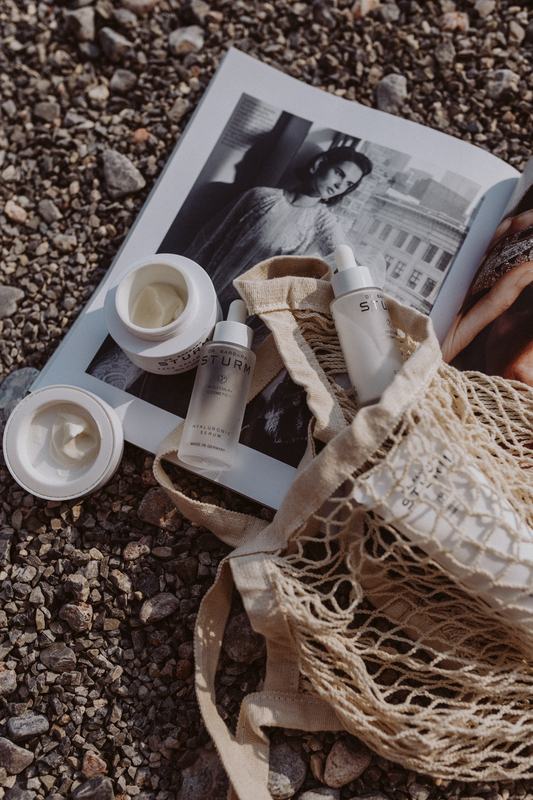 The Calming Serum & Face Cream Rich were my first order (with Net-A-Porter Beauty). I then quickly realized, that this was not enough moisture for my skin and decided to make use of a 15% discount code with Niche Beauty to add the Hyaluronic Serum to the list. 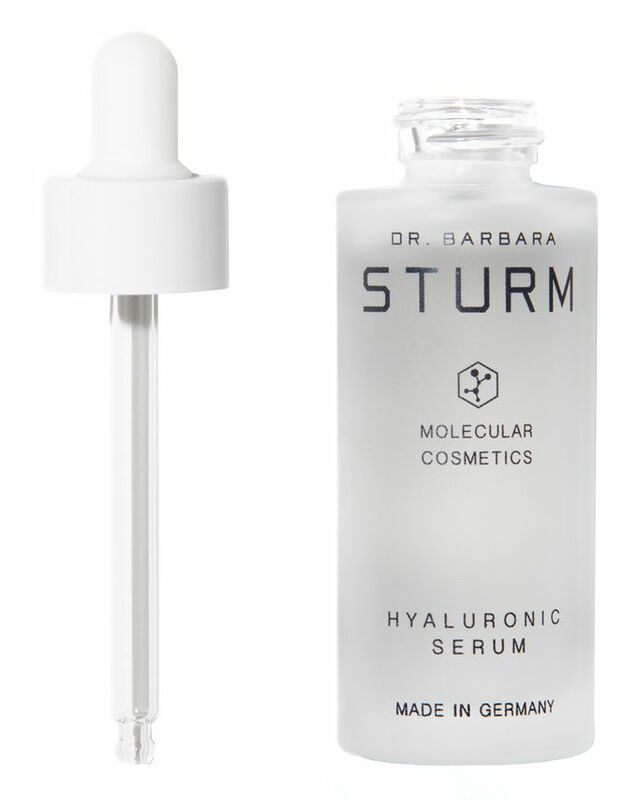 This serum is amongst the priciest (if not THE priciest) of the Dr. Barbara Sturm skincare range and set me back a casual 259€ for 50ml. Included in the order (due to a special offer & the discount code) was a original-sized Facial Scrub, which I have only used twice so far since I always cleanse with micellar water. In total, I spent just short of 600€ for 3 products (but received a 4th for free). the packaging: As you can tell from the images, the packaging is very “clean”. Which I 100% love. 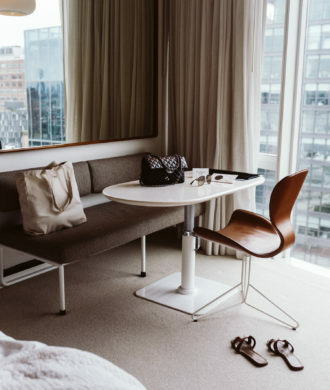 It feels very luxe and looks minimalistic modern with a medical touch – also something I like. 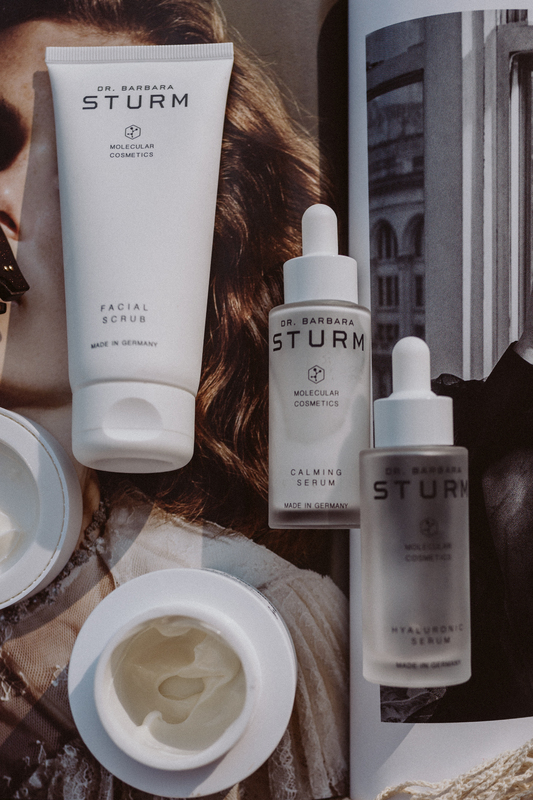 the scent: Obviously no product is ever 100% scentless, but with the Dr. Barbara Sturm skincare products, it seems impossible to talk about a detectable scent. Hence I would consider them scentless and definitely agree with the brands claim “Free from synthetic fragrances, parabens and mineral oils”. Also something I really appreciate! texture & feel: all of the products I tried (even the face scrub) felt really, really good on my skin. The textures are nice (soft, not too heavy – even for the face cream rich) and I felt like my skin took in the products well. 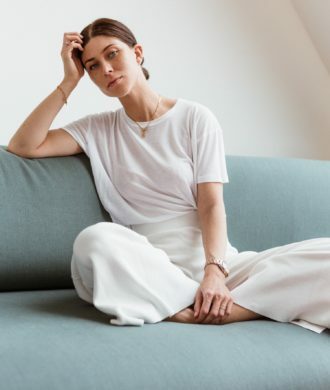 the routine: I once read somewhere that you always start with the clear serums, then go with the milky ones and finish with your moisturizer of choice. 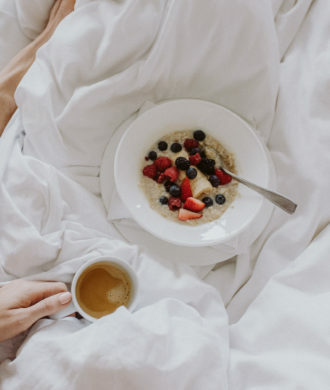 This is exactly the way I used the products for my morning and nighttime routine for the past 4-5 weeks. I used nothing but the Dr. Barbara Sturm products, except for 3 occasions where I used masks from other brands (1 clay, 2 hydrating). 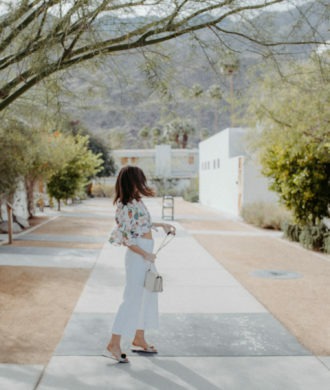 I cleaned my skin with my go-to micellar water (currently: Caudalie) and then used the Hyaluronic Serum, followed by the Calming Serum and then the Face Cream Rich – allowing 2-3 minutes between each step in order for my skin to absorb the products. did the famous #SturmGLOW appear? To keep things short: not really. the results: I am not sure if it was bad karma, pure coincidence or the actual products, but within the first two weeks of switching my routine I got 2 of the biggest pimples I have ever had in my life. The really deep kind, where literally the entire forehead hurts. It actually looked like I had hit my head on a door… All drama aside though, I don’t have any proof or knowledge of how this could be related to the products. Overall, I think the products are definitely not bad. They are nice. But far from life-changing for me personally. Especially in comparison to other products (specifically serums) that I love. 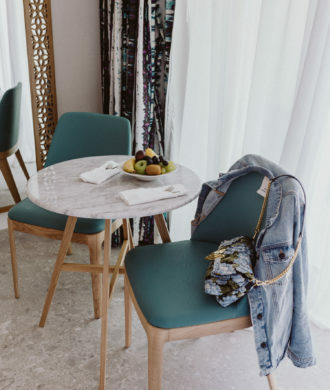 For example, I feel that both the Bobbi Brown remedies (48€) and the Dior Capture Youth serums (80-90€) work better for my skin – and happen to cost a lot less. Even though I used the “Face Cream Rich”, I don’t feel like it was enough for my skin, hence the two additional hydrating masks. And this is during Summer time… during Winter my skin gets even more dry. I prefer the Charlotte Tilbury Miracle Cream (78€). The Calming Serum felt great on my skin and I loved the consistency, however, I feel like a bottle wouldn’t last longer than 6 weeks for me (as you can tell from the almost empty bottle) and didn’t do much for my skin. At least not within the 5-week testing period of this Dr. Barbara Sturm review. The product I ended up liking the best was the Hyaluronic Serum. I love all things hyaluronic. All the love aside though, I don’t think I will spend another 259€ on a serum any time soon. 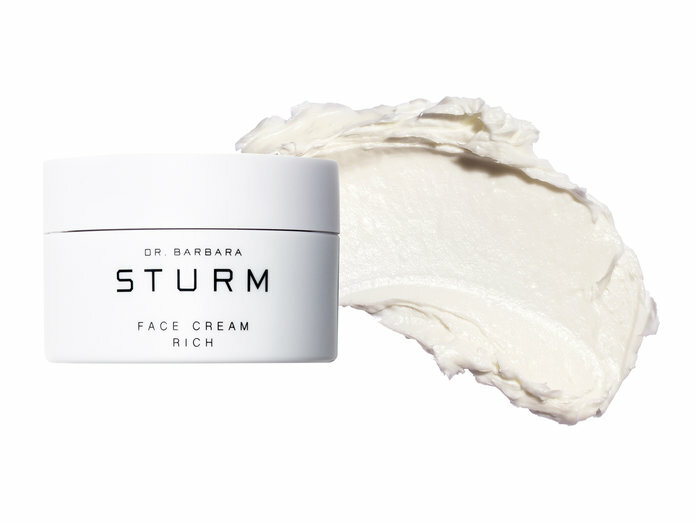 Have you ever tried Dr. Barbara Sturm skincare products? If so, what are your thoughts? Which are your favorite products? I’d love to know, simply leave a comment below! Vielen Dank für die Review! Es ist schön zu sehen, dass du keine Angst hast eine ehrliche Review über dieses so stark gehypte Produkt zu geben. Das ist nicht selbstverständlich und ich als Leserin schätze das sehr. Gut zu wissen! Hab echt schon überlegt mir etwas davon zuzulegen. Es sieht und liest sich halt sehr Viel versprechend. Im Crazy about the way you judge things! 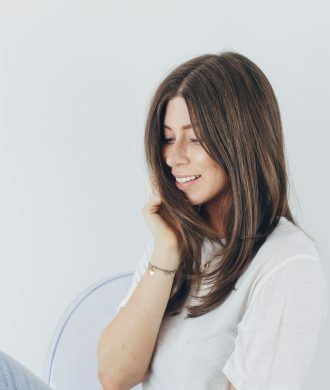 You are really one of the few left influencer that also tries stuff beside co-operations – and that makes it sooooo incredibly authentic. Danke für das ausführliche – und vor allem differenzierte – Review. Es ist erfrischend zu lesen, dass auch mal jemand “zugibt”, dass ein gehyptes Produkt nicht den Erwartungen entsprach. danke für diesen ausführlichen und ehrlichen Beitrag. Ich finde es immer super spannend Rezensionen zu “gehypten” Produkten zu lesen. Ich hatte mal einen Tester von den Sundrops und dem Serum – beide fühlten sich sehr gut auf der Haut an, aber der Preis liegt einfach ausserhalb meines Budgets. Ich finde das VineActiv und VinoSource Serum von Caudalie super, sowie das Hyalu B5 Serum von LaRoche Posay! Mein neuer Favorit in Sachen Hautpflege ist Skin Ceuticals geworden – für trockene Haut sind tolle Produkte dabei. As a hungarian, I recommend Omorovicza with my whole heart. It is also pricey, but not as much as dr.Barbara Sturm. They said to me that you really need small amounts from the products, which I thought they said because of good marketing. But it is 100% true. They have really powerful products and it is also pretty “natural”. Maybe something to look into in the future?! Ich kann Dr. Schrammek sehr empfehlen, die Produkte sind ähnlich wie bei Barbara Sturm auch Made in Germany und ich finde die Qualität richtig gut. Vor allem das Vitamin C Beauty Flash ist toll und hat bei mir einen riesen Unterschied in Sachen Glow gemacht. Ich finde deine Beauty Posts toll und freue mich schon auf deine nächsten Empfehlungen! Thank you for the feedback. I have made pretty much the same experience with these hyped products. For me, not worth the money. “basic facts about my skin” – how did you find this out about your skin? did you visit a dermatologist, or how was this “tested”? I am almost 30 years old and have gotten to know my skin very well these past few years. I was diagnosed with eczema as a baby and every dermatologist or beautician I visit says my skin needs moisture. The fact that I never had acne is something that I simply know (due to never having to deal with it) – just like the fact that I recently went off birth control 🙂 The redness and sensitivity is something I notice on a daily basis, influenced by many different factors such as diet, sleep and stress levels. Danke für die ehrliche Review zu den Produkten! Mich haben einige der Inhaltsstoffe gestört, wie z.B. Silikone in einigen Produkten. ds ist bei dem Preis wirklich daneben (in meinen Augen). Daher habe ich nachdem ich einige Pröbchen bekommen hatte davon nichts gekauft. Zum Glück bin ich mir treu geblieben, sonst hätte ich mich wahrscheinlich noch mehr geärgert. I also tried these products for about 4 weeks. I agree with your assessment 100%. It’s a nice line, but it did nothing for my 66 year old dry skin. Very expensive and I expected more. Thank you for your honesty. So strange but I actually have really great results with this line. I love the foam cleanser, face scrub, the super anti-aging serum and am anxious to try the sun drops. I agree, the cream rich isn’t enough for my skin either but I love the other items I mentioned. I don’t think there’s ever been one skincare line where I use ALL the products.